Q. Who can register to be considered for the award? A. Any student who is in their final year of either GCSE or A-level studies and will receive their final grades before the award ceremony (the dates and time will be announced on the website). Q. I received my grades last year can I still register? A. 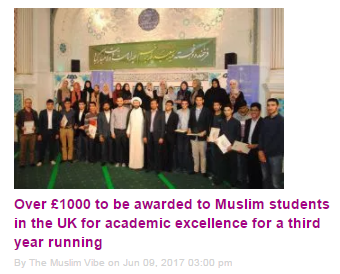 No, the award is given to students expecting their final results. A. No, whoever is expecting their final grade before the award ceremony and is registered before the deadline will be considered for ATAward. And we will aim to respond as soon as possible.